Perry has gotten to be a pro at eating rice cereal and oatmeal cereal. 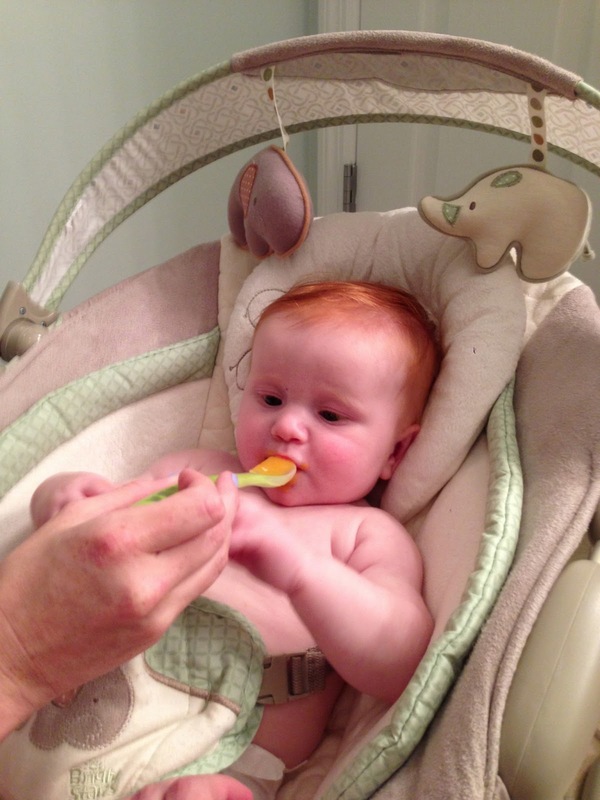 He has really learned the skill of swallowing solid foods and even will open wide and try to sit up and get closer to the spoon of food. Such a big boy. With Dr. Ellis' blessing we decided to start some stage 1 veggies at the 5 month mark. After the agonizing decision (ok not really) of what veggie to start with...we settled on squash. Perry really seemed to like it. He ate almost the whole container on the first try. 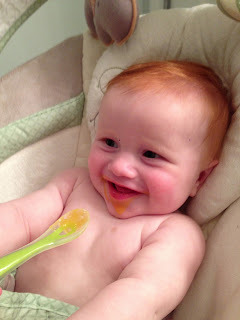 It was definitely a mess...a very orange mess...and a bath was definitely in order afterwards. It is going to be such fun over the next weeks and months letting him explore new foods.